You can rest assured that experienced technicians are using the most advanced tools to guarantee that all work is completed properly. We will provide you with the timely and effective services you need and deserve. Other than our state-of-the-art equipment, it’s our above par staff that makes our service undeniably superior. If you find yourself in need of our services, give us a call! 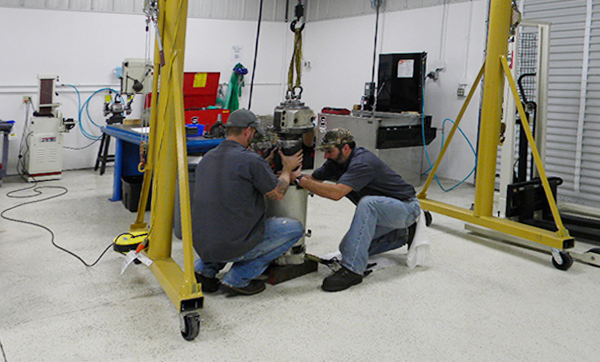 Christensen Machinery’s Precision Services Division is a full service Tool Reconditioning Center. Our technicians have over 50 years combined experience in the manufacturing and reconditioning of cutting tools of all types. 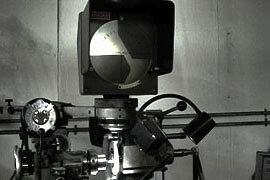 The end geometry being measured on our high-powered Digital ” Field of View” Video Measuring System. 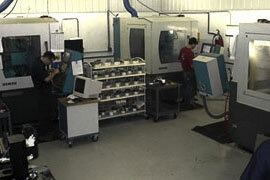 Our Schneeberger CNC Grinding Cell. Our Precision Services Division is the midwest’s “Kennametal Licensed Reconditioning Center” for all high performance Dynapoint hole making products. 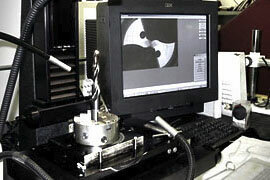 We offer a rapid turn around for regrinding and PVD recoating of drills, milling cutters as well as customs. We use state of the art CNC Grinding equipment in conjunction with the latest technology in video inspection, both on the machine and offline. 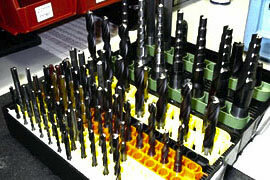 We have everything necessary to restore your cutting tools to factory new performance, as well as manufacture custom tools to customer requirements. Everything from simple standards to complicated multiple step, tight tolerance form tools can be reconditioned, modified or manufactured at our facility. 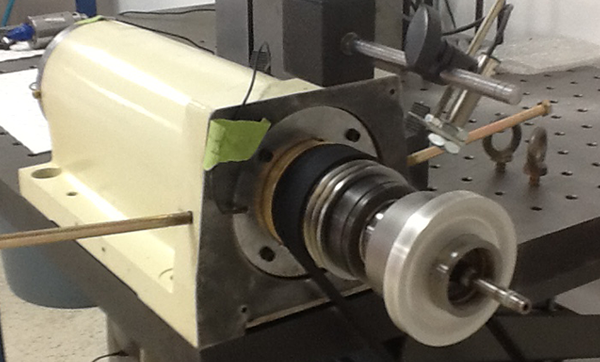 A custom HSS drill being ground on our Hybco Form Relief Grinder with a built-in 20x optical comparator. 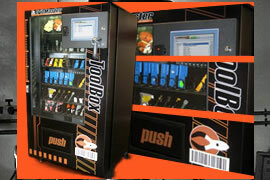 The CribMaster Inventory Management System is designed to manage tools, MRO, indirect materials and other mobile assets. The management of tools, spare parts, MRO items, PPE inventory and other types of indirect material through our robust inventory control software can provide immediate and long-term cost savings. Our extensive line of point-of-use and RFID (Radio Frequency Identification Devices), including our widely used automated tool crib offer total tool tracking and industrial tool vending solutions for any size business. 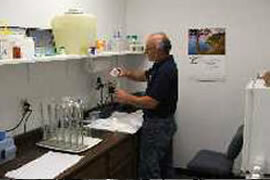 CHRISTENSEN MACHINERY has an in house laboratory to test customers coolant samples. All technicians are factory certified and the lab maintains a premier status with Master Chemical Corporation. © 2019 Christensen Machinery & Supply Company, Inc.